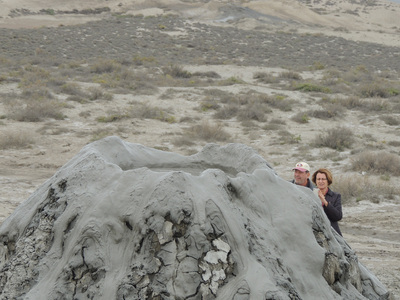 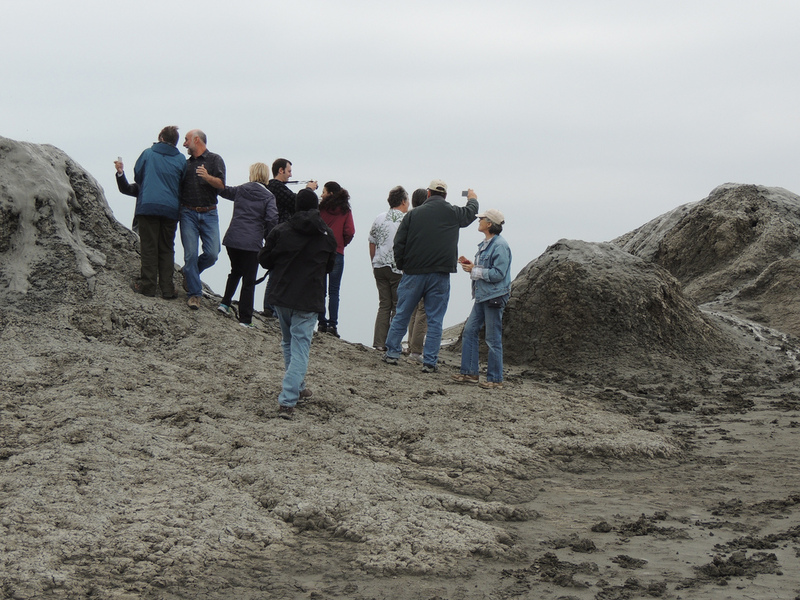 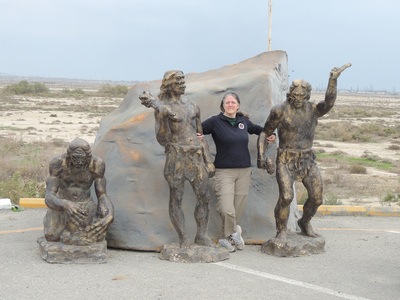 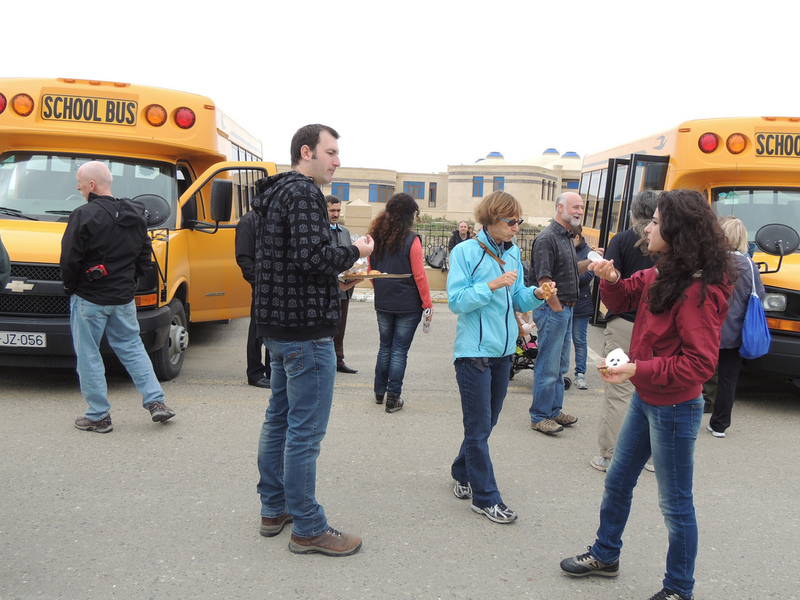 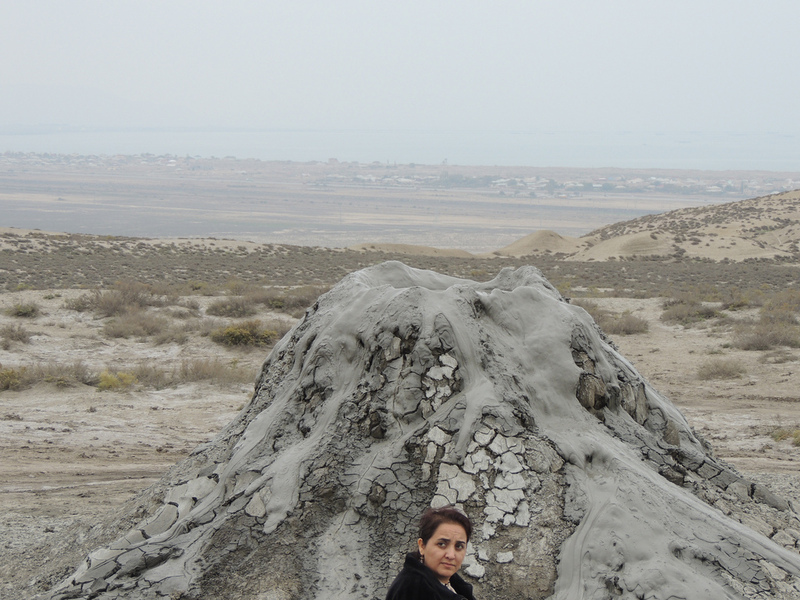 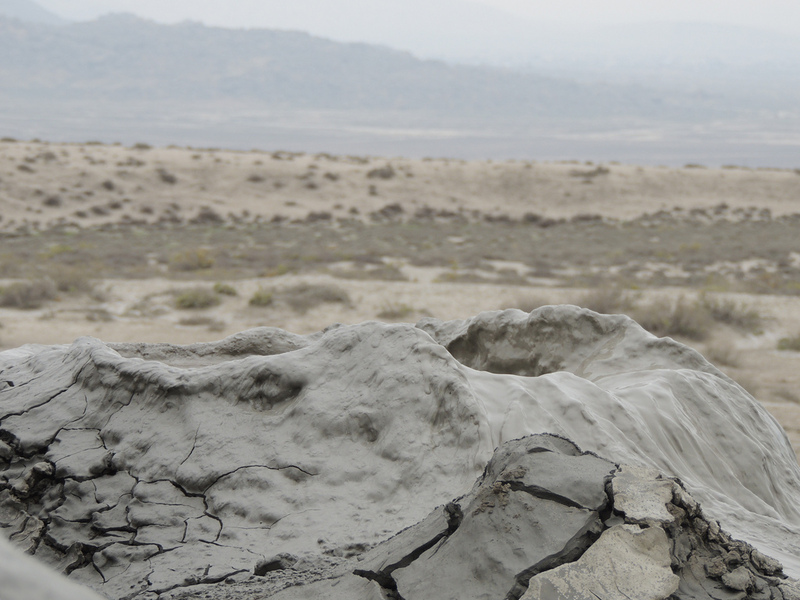 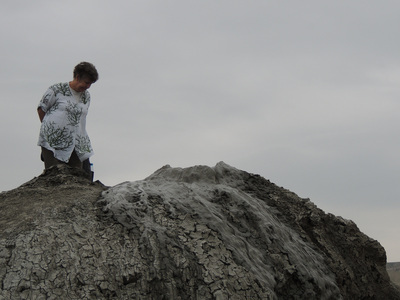 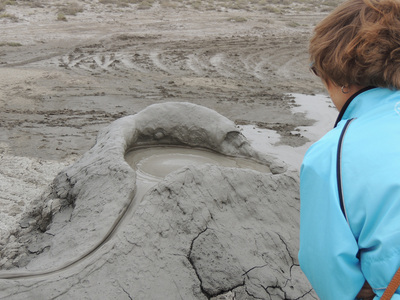 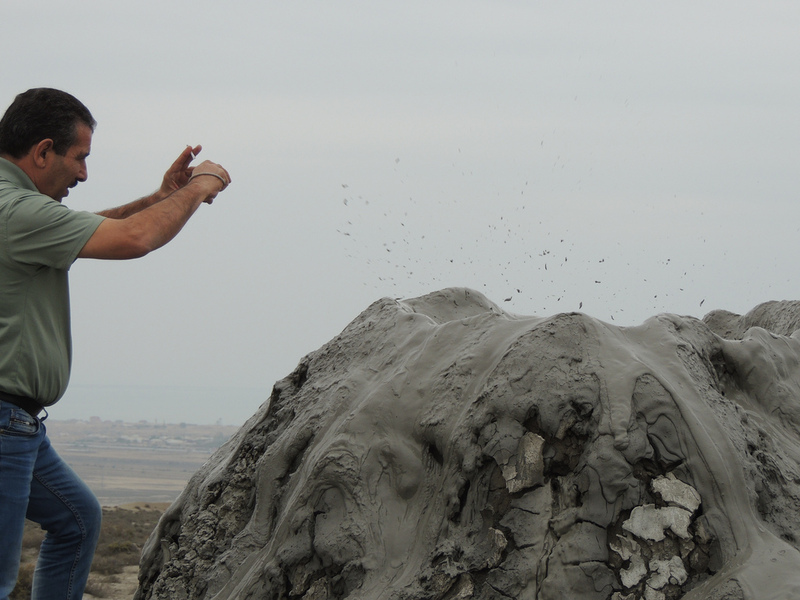 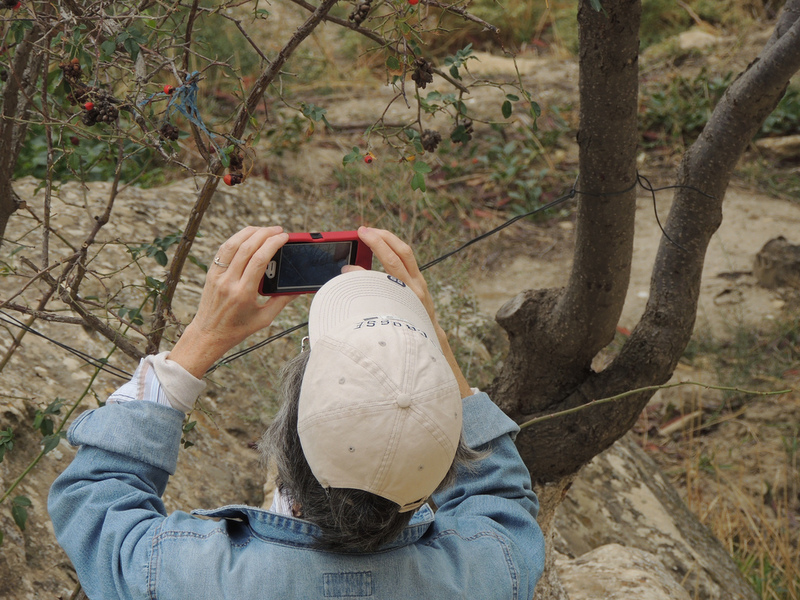 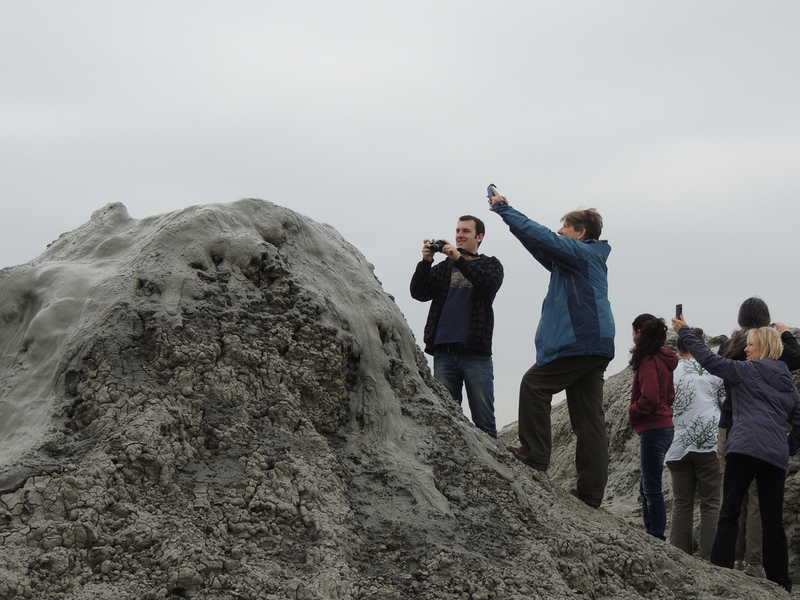 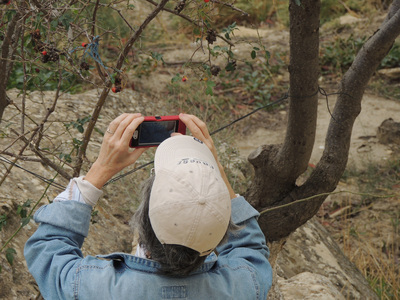 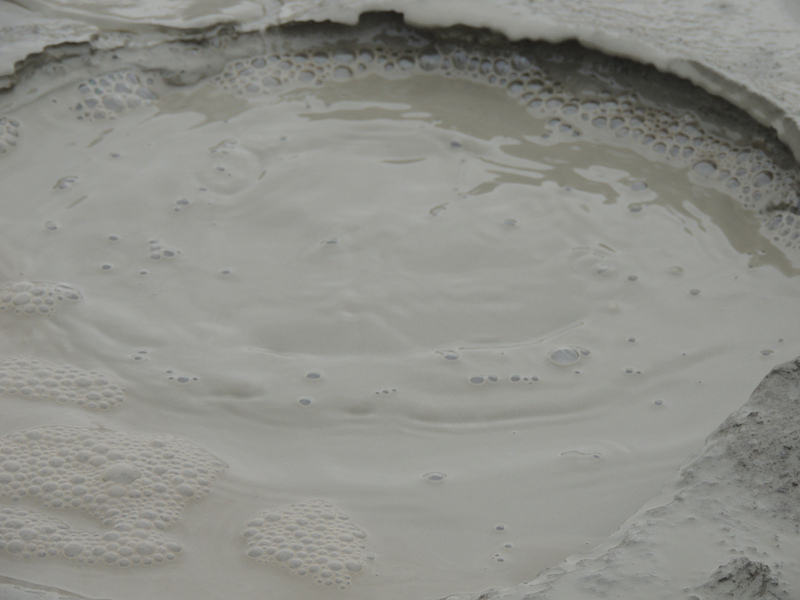 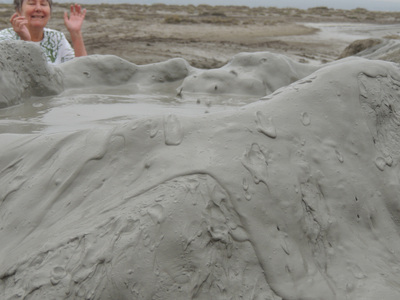 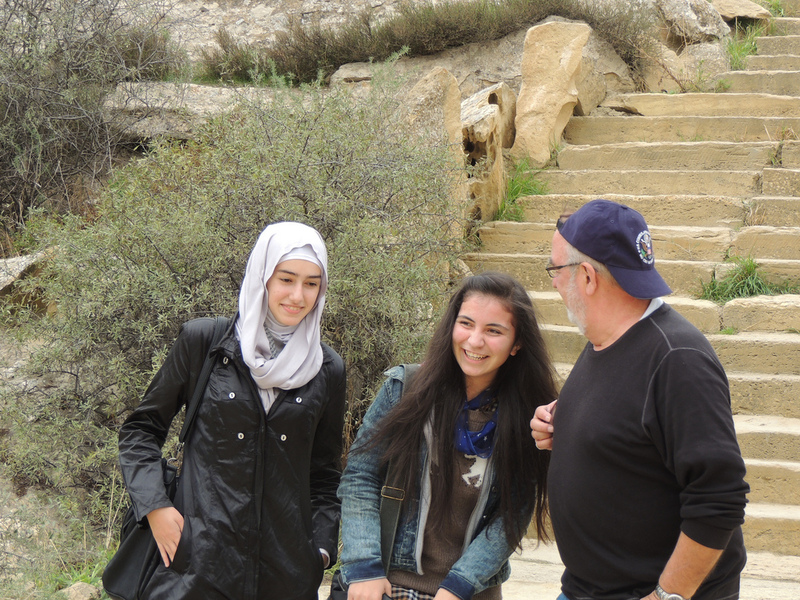 The school organises a day where we can go see petroglyphs and mud volcanoes. 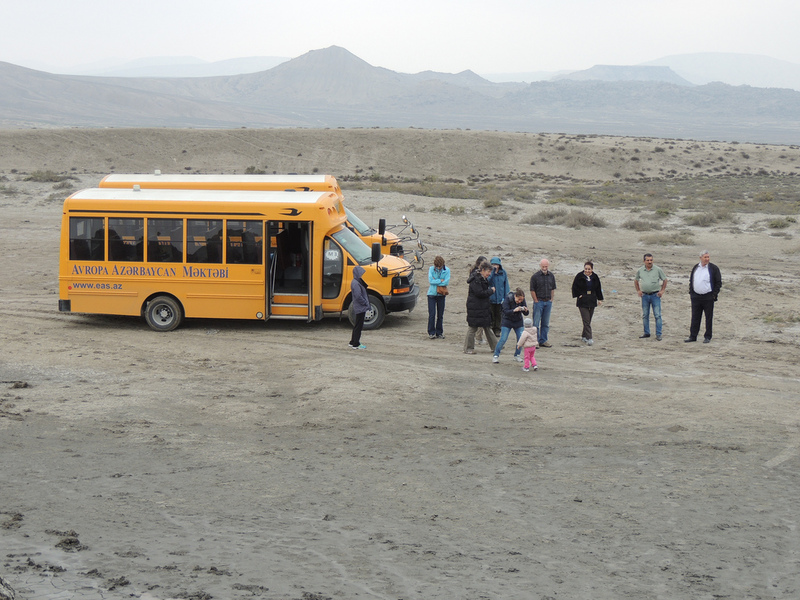 We meet at school and board the 2 busses ready to take us on our journey. 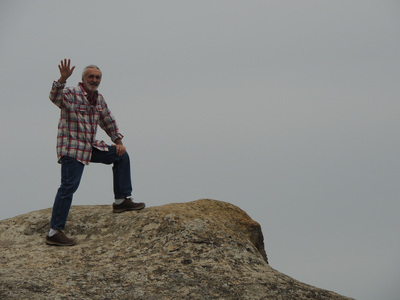 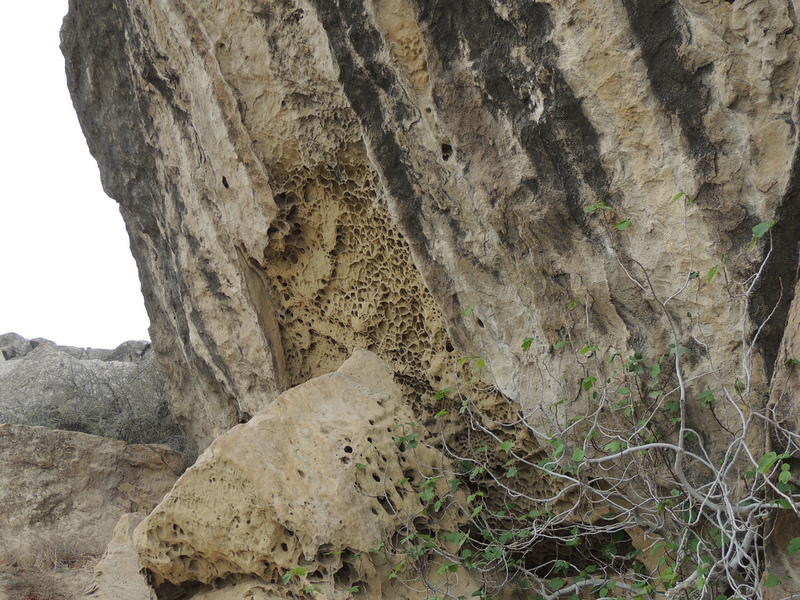 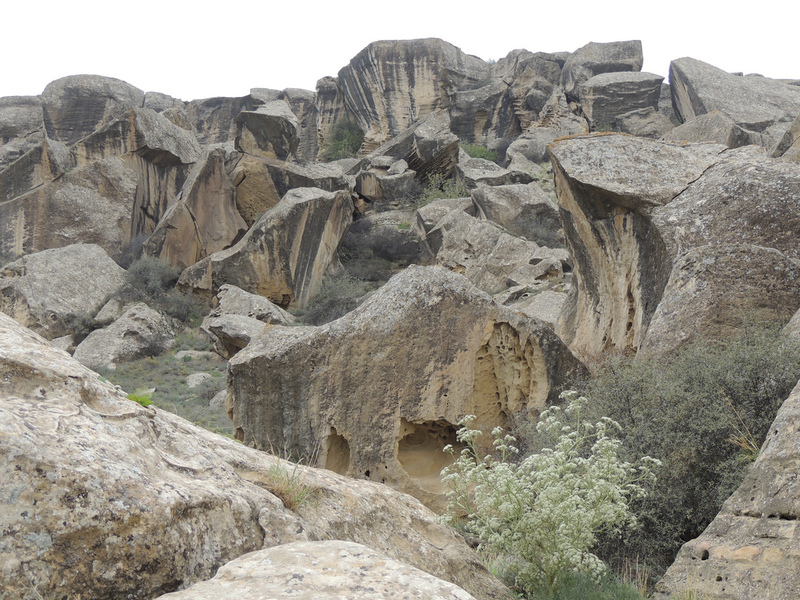 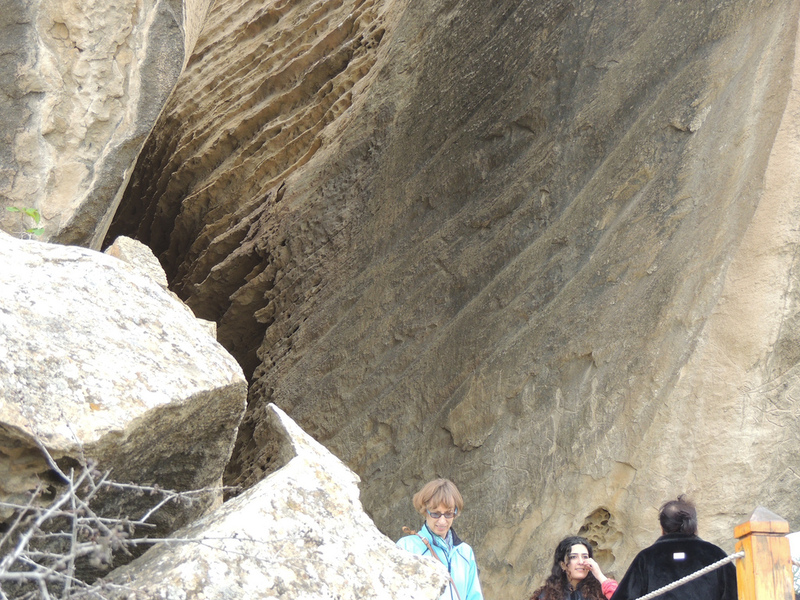 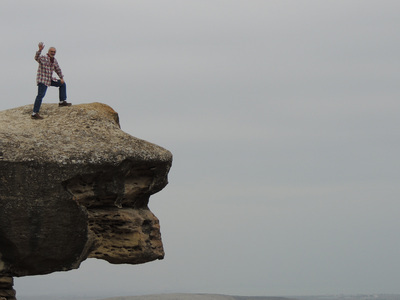 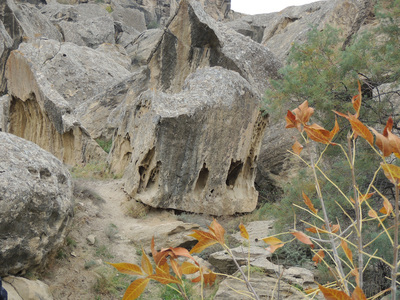 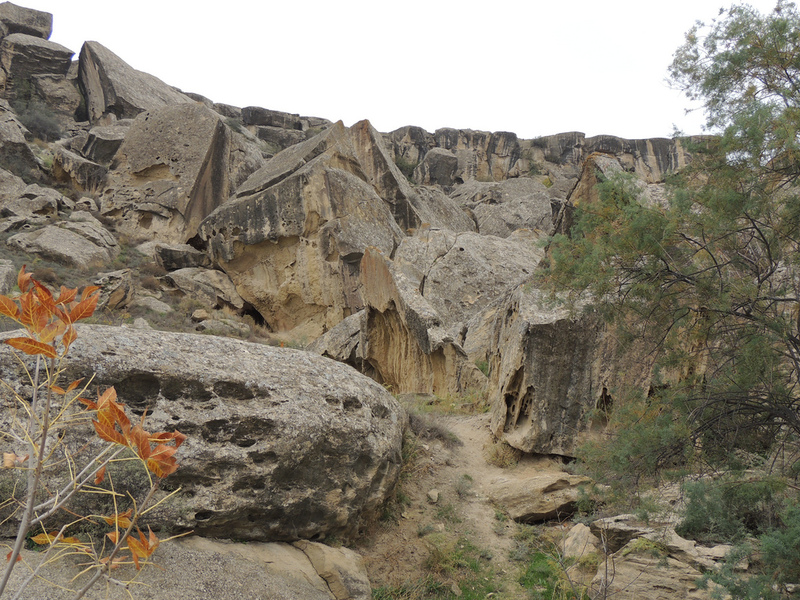 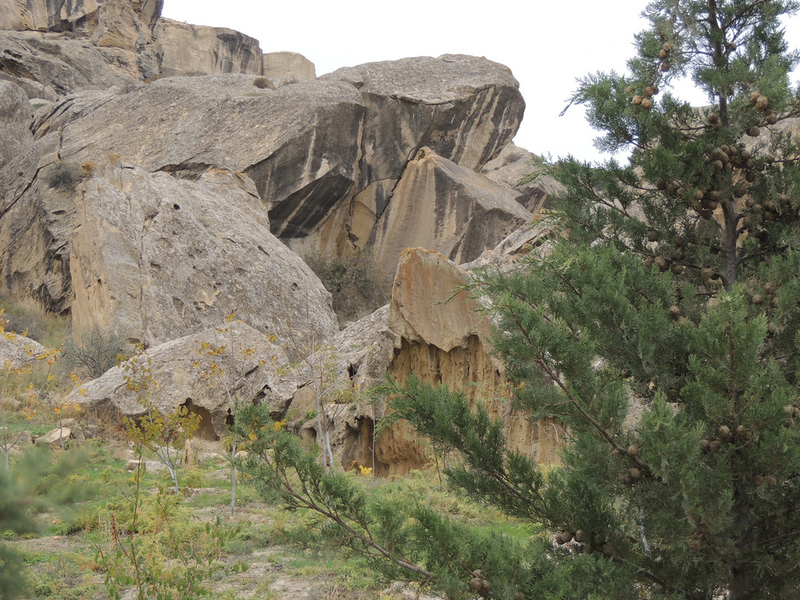 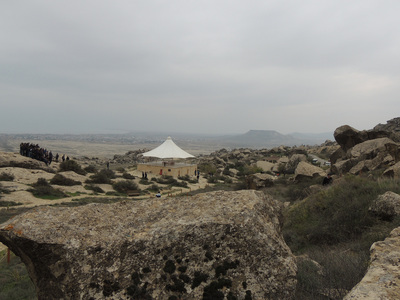 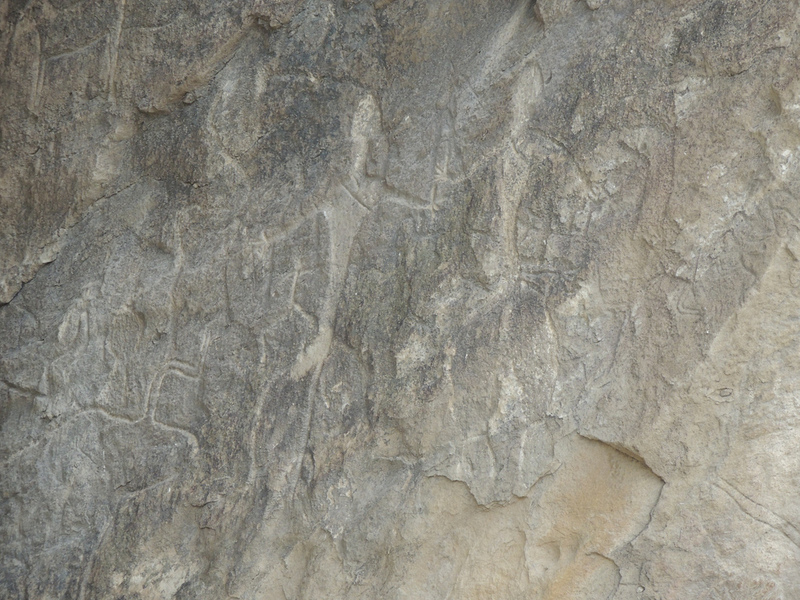 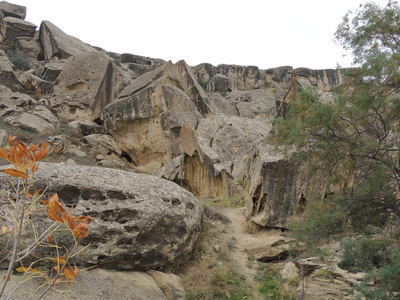 The first stop, after an hour ride 40 miles southwest of Baku, is at the Gobustan National Park (officially Gobustan Rock Art Cultural Landscape). 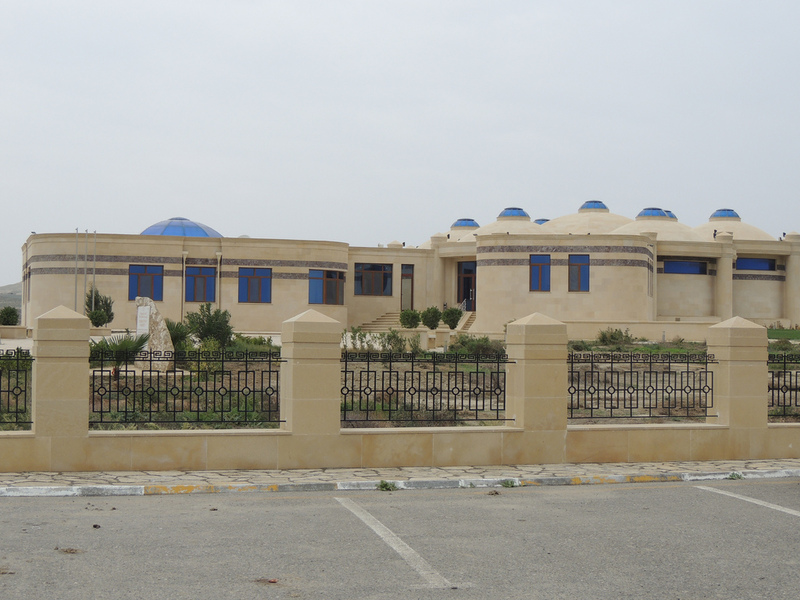 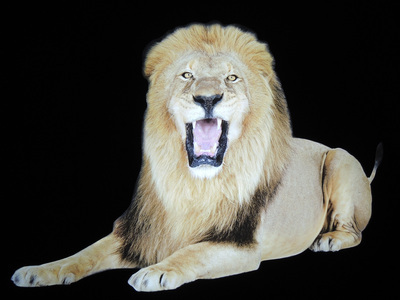 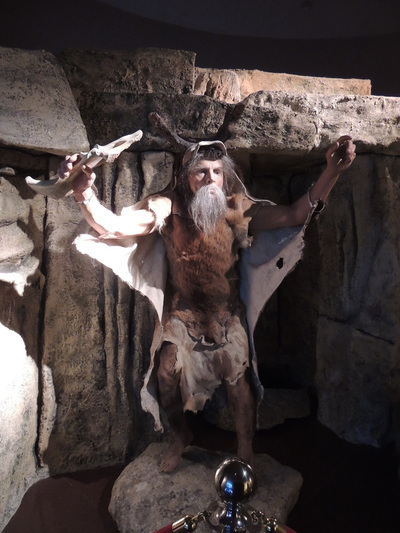 There is a new museum with many informative and interactive exhibits. 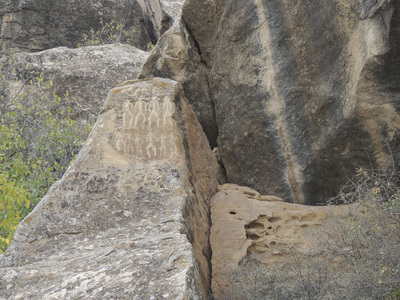 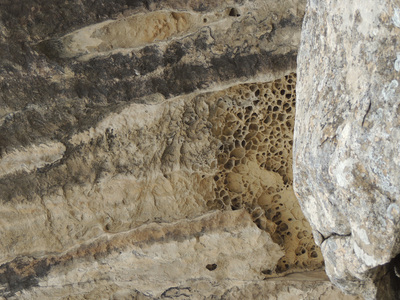 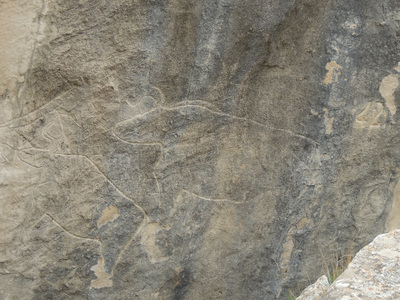 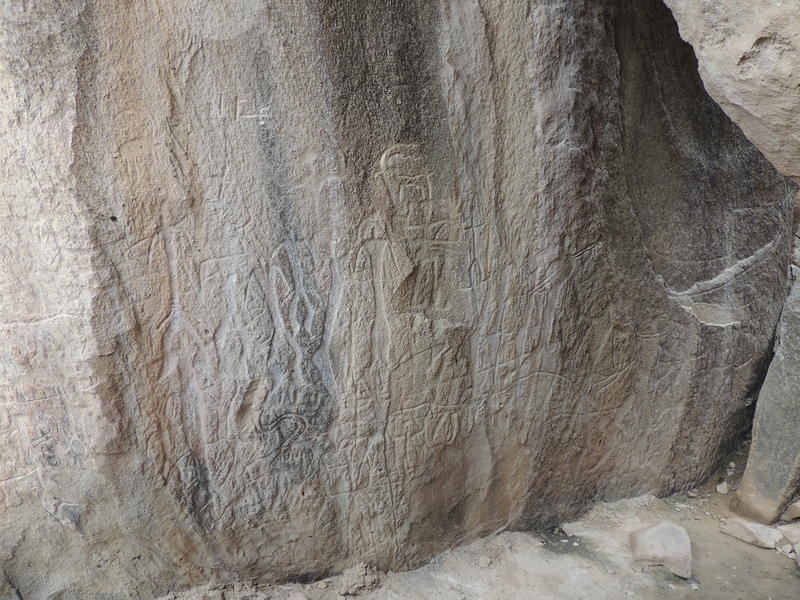 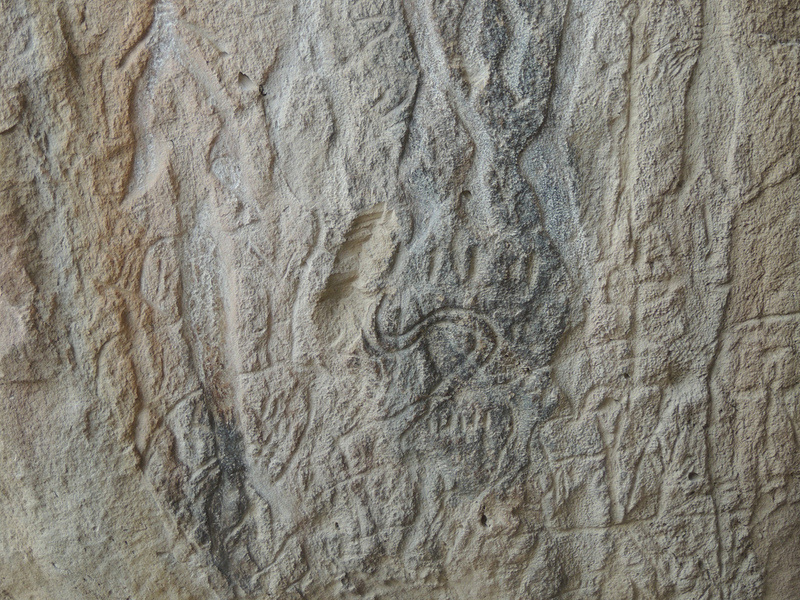 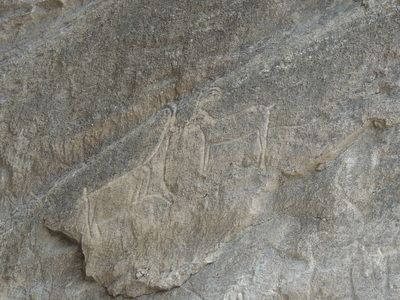 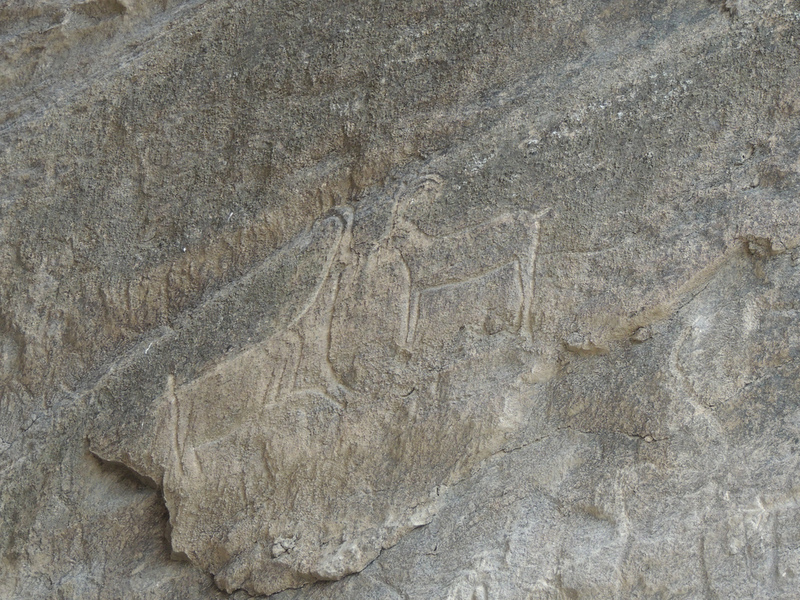 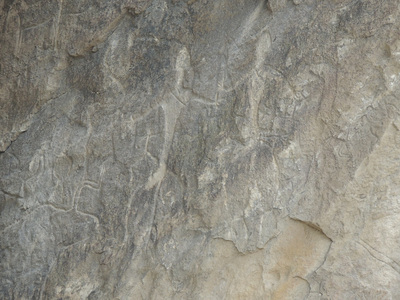 In 2007 Gobustan was declared a UNESCO World Heritage Site considered to be of "outstanding universal value" for the rock engravings and evidence that it gives of life in pre-historic times. 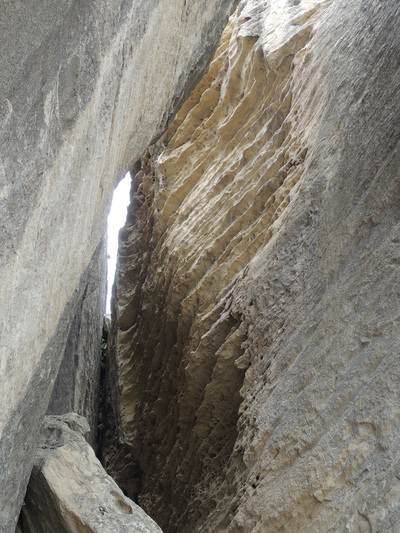 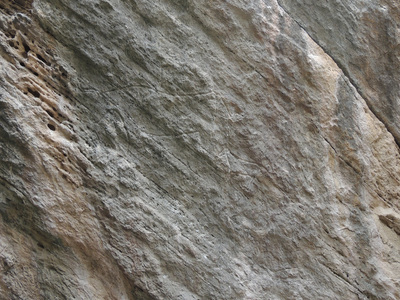 There are huge blocks of stone that form caves where people once lived. 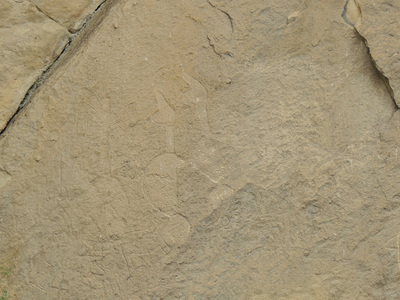 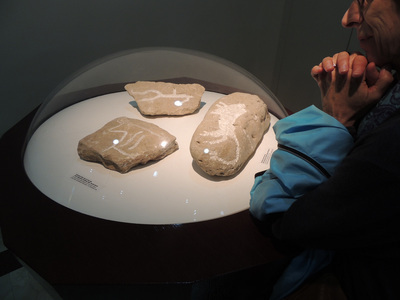 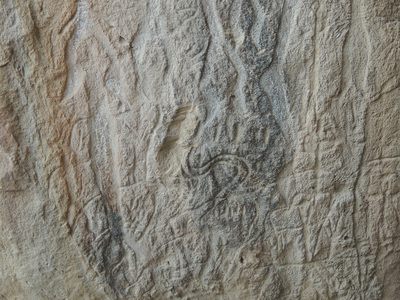 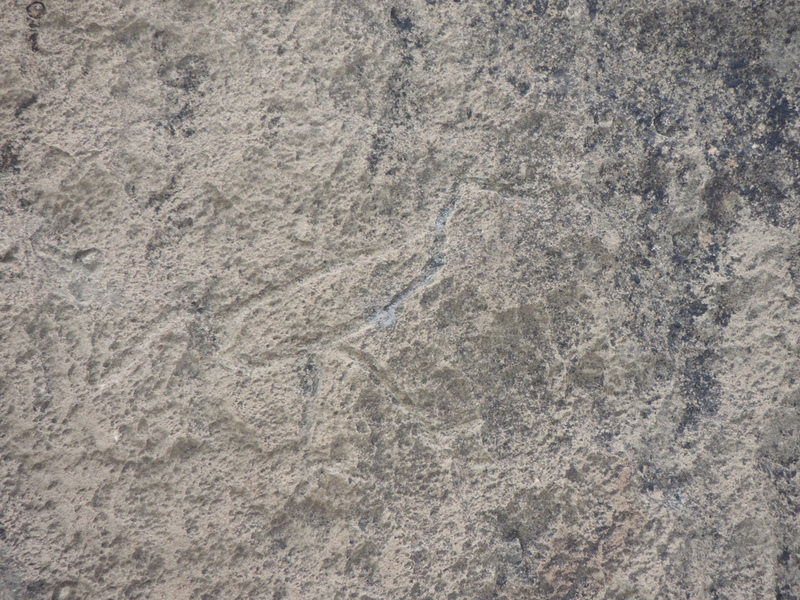 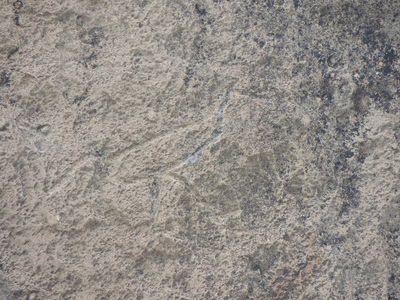 There are more than 6000 engravings dating back 5000-40,000 years! 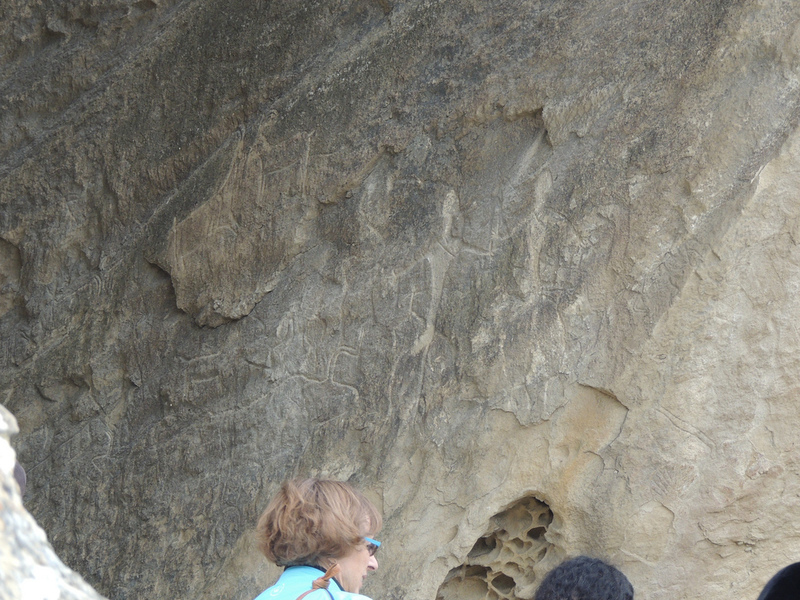 Most of the rock engravings depict primitive people, animals, weapons, dances, boats, warriors, sun and stars. It is truly amazing to see these engravings and think back to the people who created them. 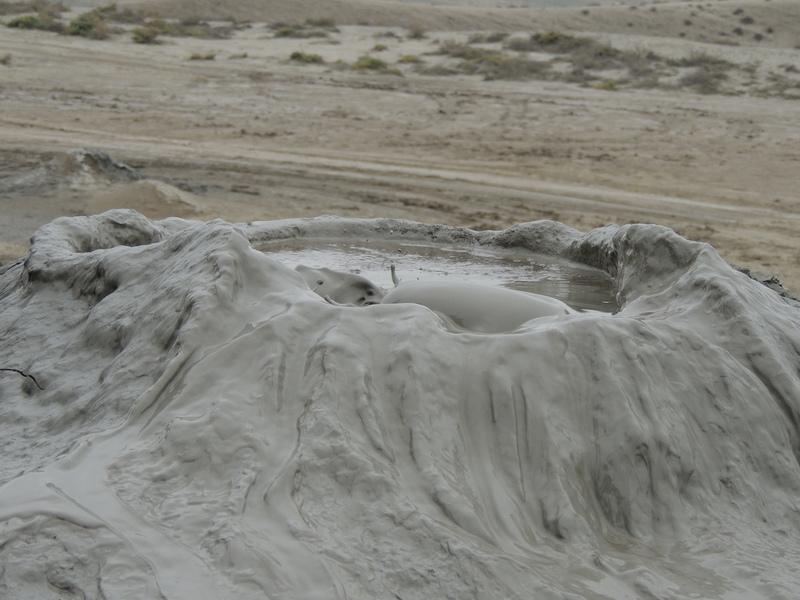 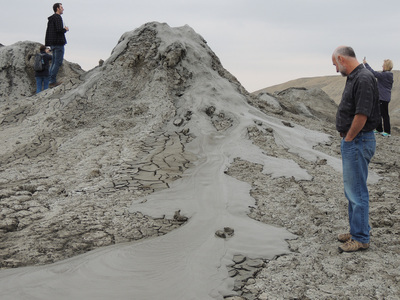 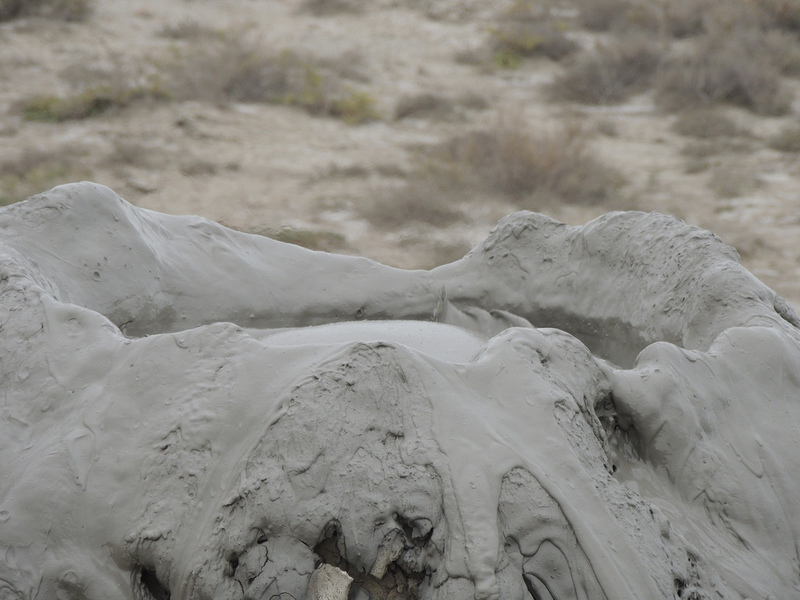 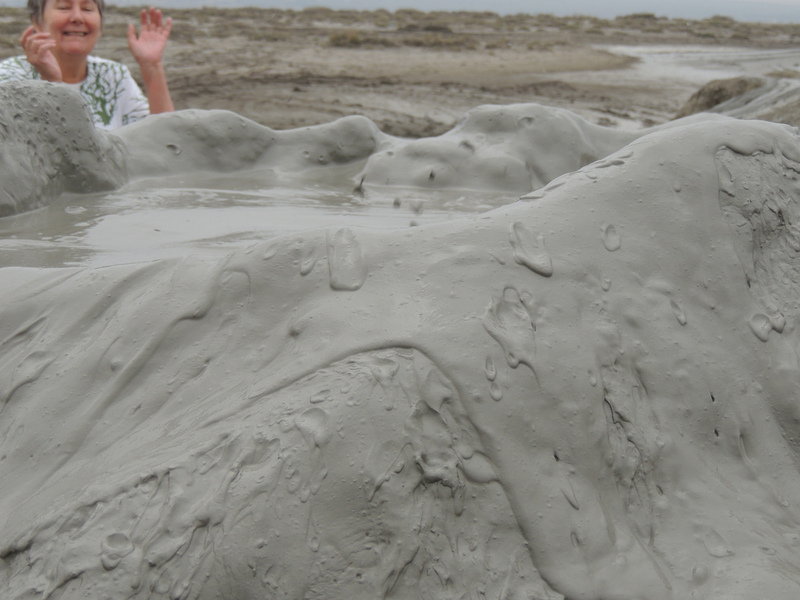 OK, really - cold mud bubbling up in mini volcanoes??? 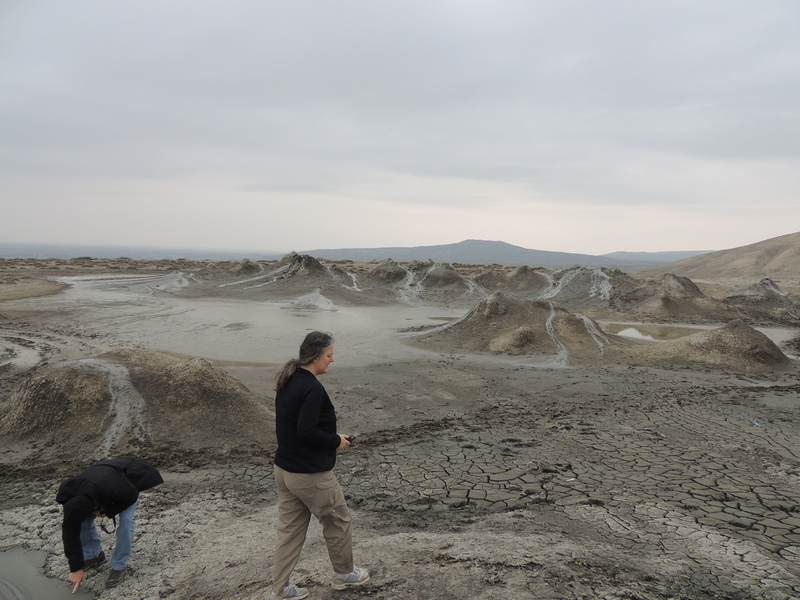 The landscape looks like something from a science-fiction movie of life on another planet. The volcanoes bubble randomly, so you are startled and jump every time one burps. It is just too bizarre!